This shop serves fish bought that morning from the Yokata Port, letting you eat fresh toppings at a reasonable price. Hotpots are available during any season, and you can choose between three different kinds of miso soup when you order a set. 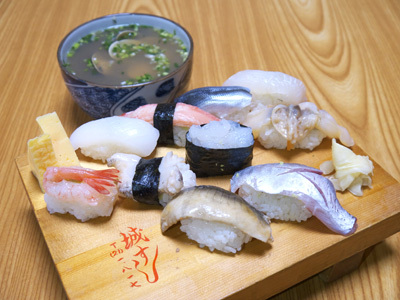 For lunch, you have a choice between 2 kinds of nigiri sushi and chirashi rice bowls.